Preparation Of Salad On Wooden Desk. 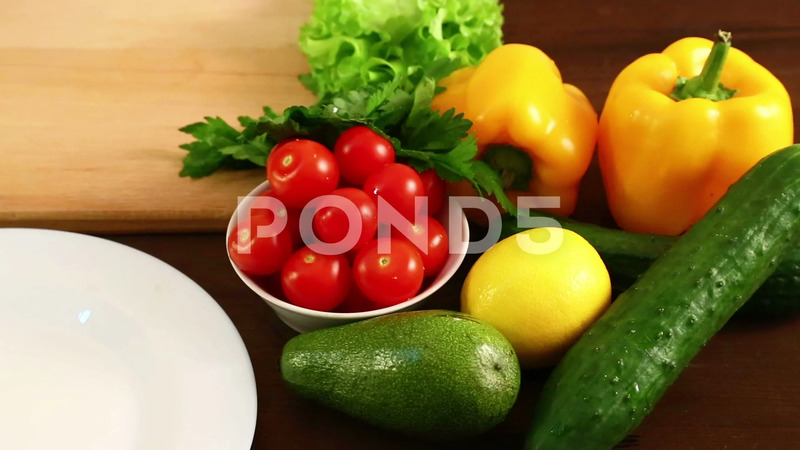 Description: Preparation of salad on wooden desk. Shot with dolly from right to left.